RAVENOL Low Emission Truck 10W-30 is an all-season multigrade SHPD engine oil (Super High Performance Diesel) for heavy duty commercial vehicle diesel engines which has been developed to meet the exhaust emission standards for Euro V and Euro VI, even under extremely heavy-duty commercial use. It is suitable for application in new exhaust-optimized engines with exhaust gas after treatment. 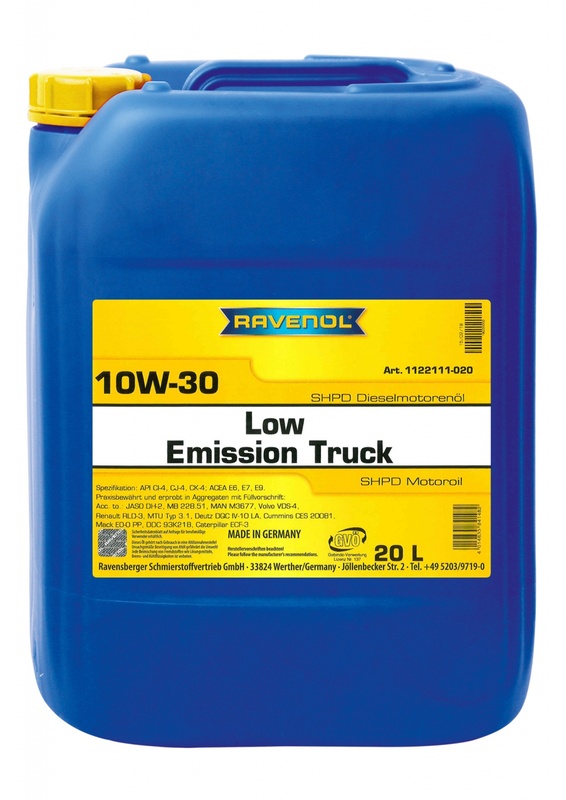 RAVENOL Low Emission Truck 10W-30 reduces friction, wear and fuel consumption and allows for longer oil change intervals in turbo diesel engines.